HGTV.com – Urban Oasis Giveaway. Home & Garden Television – HGTV.com/Urban-Oasis – HGTV Urban Oasis Giveaway this year is a luxuriously furnished apartment located in Atlanta, GA, plus an all-new car sweepstakes 2015 Acura TLX, and $50,000 cash prize provided by national mortgage lender Quicken Loans. The grand prize package is valued at more than $1.5 million dollar. Enter HGTV Urban Oasis giveaway as well as other contests from their sister sites and sponsors: HGTV.com or www.FRONTDOOR.com. You can enter twice online per day to increase your chances – once on FrontDoor.com and once on HGTV.com. An amazing giveaway where you have the chance to win a cash prize sweepstakes, a new apartment and a new car. This HGTV marketing promotion giveaway will end on October 10, 2014. You may visit one of their sponsor to enter. Once on their website simply follow the on-screen instructions to enter this fantastic Home Sweepstakes giveaway from Home & Garden Television. 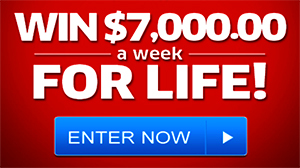 It would be blessing to win $7,000 a week for life. I would help all my family especially my sister at the age of 19 yrs who raised my brother and I after our mother passed away , I would love to help the homeless there so much that needs to be done in this world we need to pray with all our hearts. I want to Win HGTV Oasis Giveaway Sweepstake and 10,000.00 on PCH , Big Prize $$$ what a blessing it would be . Love the show and all the contest :) I’m a Winner !!! yea !! !